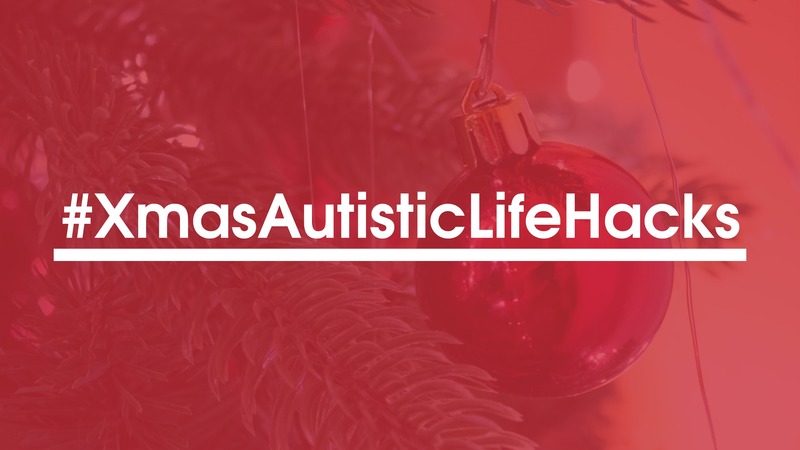 To follow on from our #AutisticLifeHacks series of posts from autistic people, we have given it a seasonal spin to coincide with the Christmas and New Year period. Starting early next month, we will be posting a series of life hacks called #XmasAutisticLifeHacks. These will be tips from autistic people on how to cope during Christmas, including some of our own staff team. They come at a time of year when some autistic people find the changes in routine, regular social gatherings and other issues e.g. being in crowded shops too hard to cope with. In addition to these hacks, we’ll also be putting together an info booklet with all you need to know about what’s happening this Christmas. It includes Hub opening times, info on numbers to call in emergencies, when the buses are running and when the shops are open. If you have any #XmasAutisticLifeHacks, please share them with us by posting one on social media, using the #XmasAutisticLifeHacks hashtag in your post. If you would also like to have it published on our website, just email it to leedsautismaim@advonet.org.uk and we will put it on the site and our Facebook and Twitter accounts. Possible hacks could be around things like parties, dealing with crowds, trying to find something enjoyable to do and finding a quiet space to get away from noisy, busy events. You must be autistic to contribute.